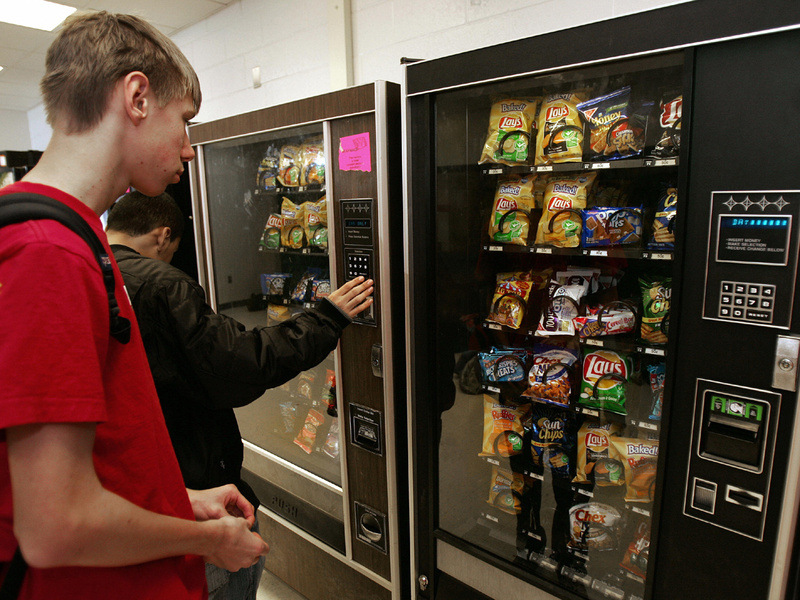 CONCORD, N.H. - Office workers in search of snacks will be counting calories along with their change under new labeling regulations for vending machines included in President Barack Obama's health care overhaul law. Requiring calorie information to be displayed on roughly 5 million vending machines nationwide will help consumers make healthier choices, says the Food and Drug Administration, which is expected to release final rules early next year. It estimates the cost to the vending machine industry at $25.8 million initially and $24 million per year after that, but says if just .02 percent of obese adults ate 100 fewer calories a week, the savings to the health care system would be at least that great. "The money that would be spent to comply with this - there's no return on the investment," he said. While the proposed rules would give companies a year to comply, the industry group has suggested a two-year deadline and is urging the government to allow as much flexibility as possible in implementing the rules. Some companies may use electronic displays to post calorie counts while others may opt for signs stuck to the machines. But Kim Gould, 58, of Seattle, said he doesn't read the labels even after his choice pops out of a vending machine, so having access to that information wouldn't change what he buys. "People have their reasons they eat well or eat poorly," Gould said. Standing with his 12-year-old daughter near a vending machine in a medical clinic where he bought some drinks last week, he said he only makes purchases at the machines when he's hungry and has no other options. "How do we know people who are buying candy in the vending machines aren't eating healthy 99 percent of the time?" he added. As for the new labels, Gould said he wasn't sure what the point would be, and that they would just be "nibbling around the edges of the problem." The FDA also is working on final rules for requiring restaurant chains with more than 20 locations to post calories information, something some cities already mandate and some large fast-food operations have begun doing voluntarily. A 2011 study in New York found that only one in six customers looked at the information, but those who did generally ordered about 100 fewer calories. A more recent study in Philadelphia found no difference in calories purchased after the city's labeling law took effect. "There is probably a subset of people for whom this information works, who report using it to purchase fewer calories, but what we're not seeing though is a change at an overall population level in the number of calories consumed," said Brian Ebel, the study's author and an assistant professor at New York University's department of population health and medicine. Ebel said he wouldn't be surprised if the vending machine labels end up being equally ineffective, but he said it's possible that consumers might pay more attention to them for a couple of reasons. In some locations, a vending machine might be the only food option, he said. And reading a list of calorie counts on a machine will be less overwhelming than scanning a large menu at a fast-food restaurant with other customers waiting in line behind you, he said. "It could go either way, but I think there's at least some reason to think it could be slightly more influential in vending machines." Even without the calorie counts, consumers already have ways to make healthier choices from vending machines. The vending machine industry group launched its "Fit Pick" system in 2005, which includes stickers placed in front of products that meet healthy guidelines for fat and sugar content. The program is used by nearly 14,000 businesses, schools and government agencies, as well as all branches of the military.